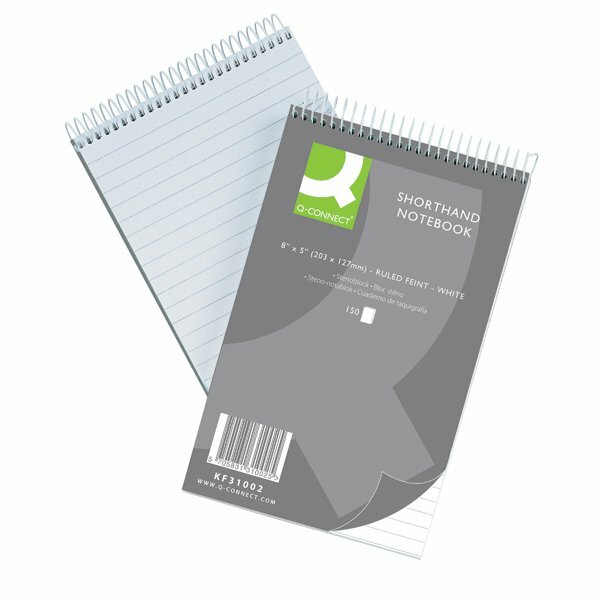 This handy Q-Connect Shorthand Notebook contains 300 pages of 60gsm paper, which is feint ruled for neat note-taking. The notebook is headbound with a spiral binding and sturdy backboard for support. Each notebook measures 203 x 127mm (8 x 5 inches). This pack contains 10 notebooks.